TWIN-STAND™ Shoe Racks - Double your Shoe Storage! 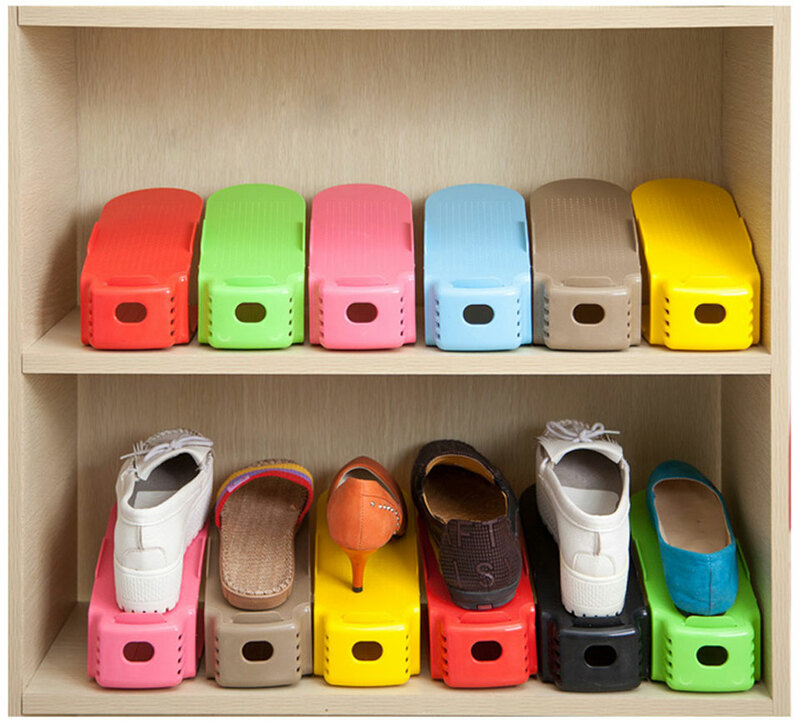 Say goodbye to messy and cluttered shoe storage! These Shoe Stacks will double your shoe storage space in a snap! The TWIN-STAND™ shoe Stacks are capable of holding a pair of shoes at a stack formation, allowing you to store twice as many shoes in the same space! 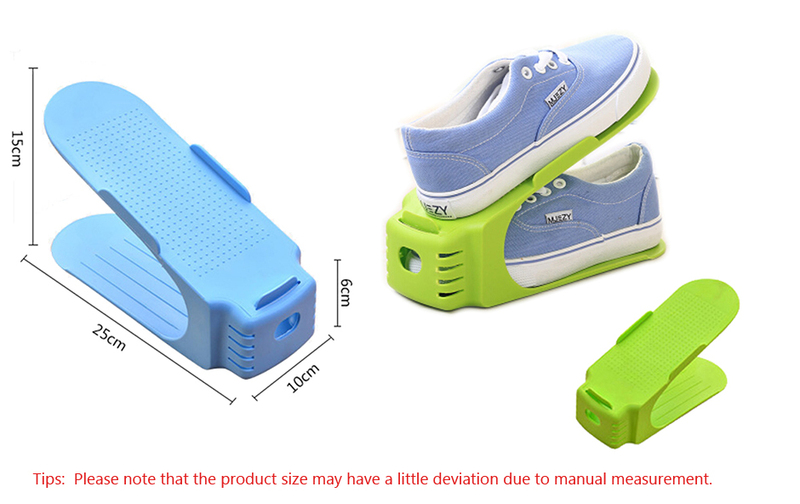 The angle of the rack is also adjustable to fit any style & size of shoe. 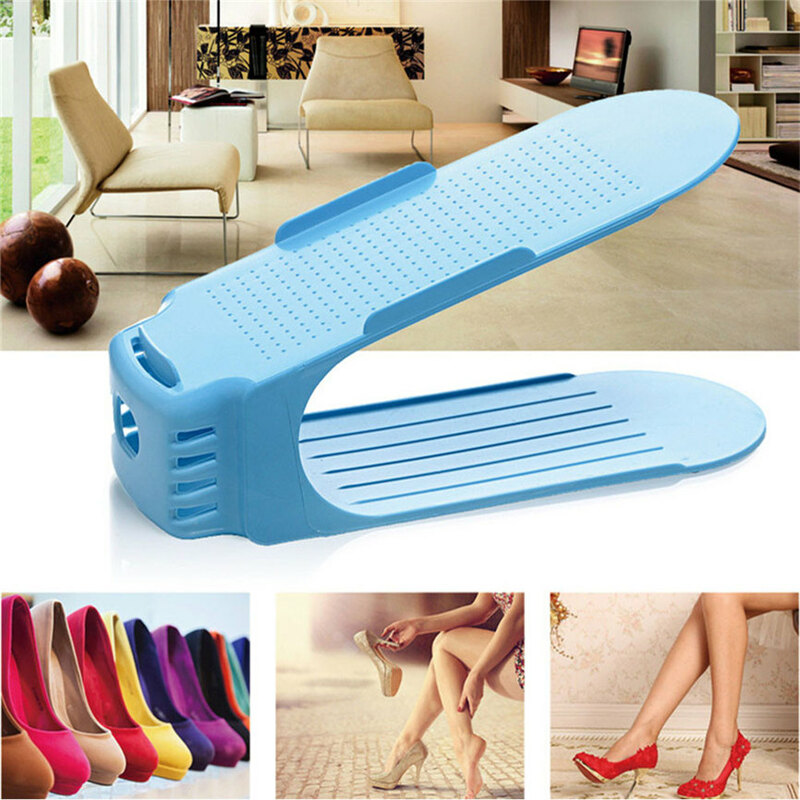 Enhance your home with shoe organizers that not only look good but super functional as well. Your shoe collection will greatly benefit from the practical design that saves you a lot of space and displays your footwear the way you'd see them in shops. 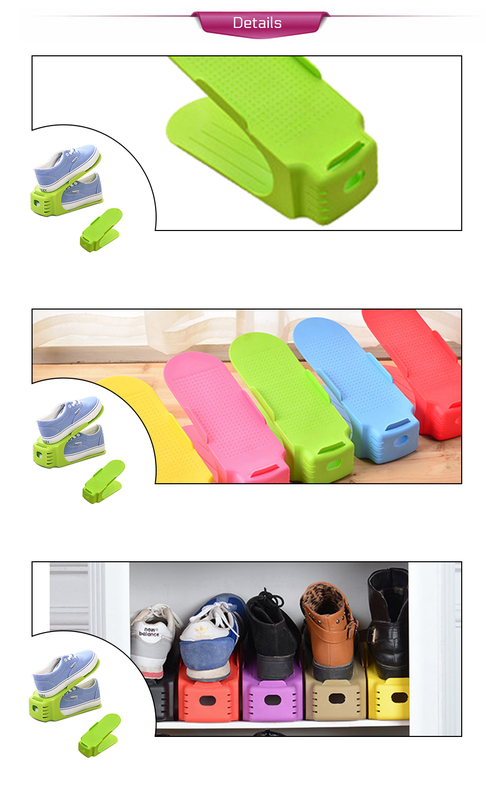 Made from quality plastic, they'll last longer and keep your shoes safe and your home clutter-free. 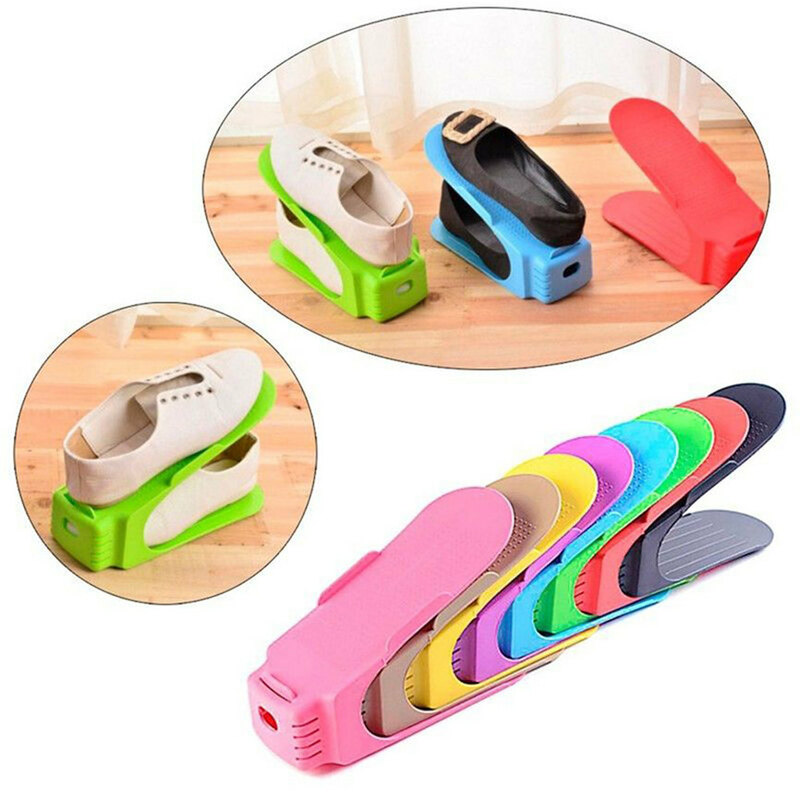 Order your own Shoe Stacks today! 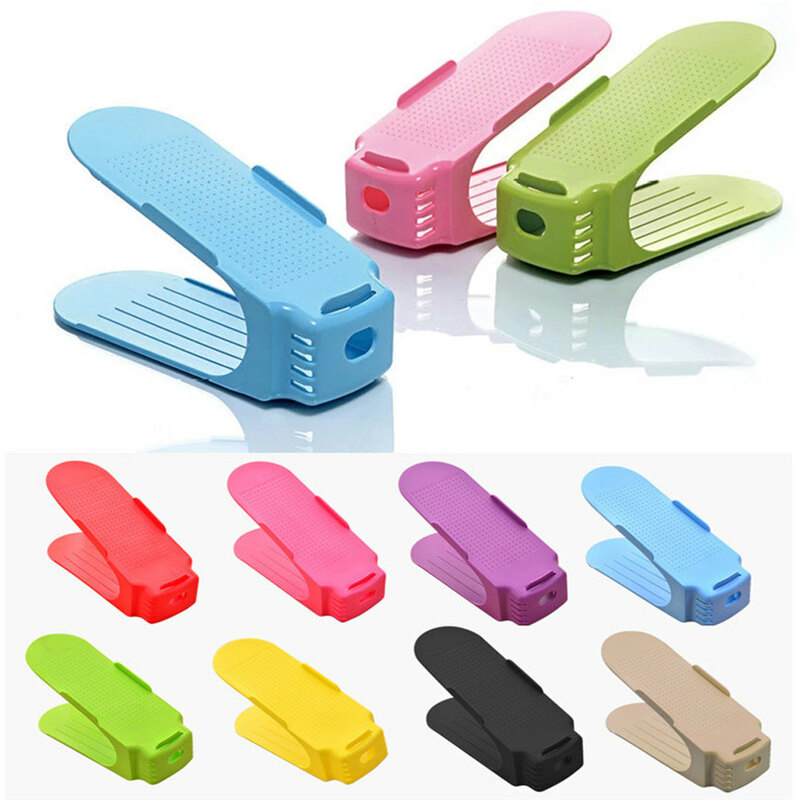 Material: Durable, Non-Slip PLA plastic.